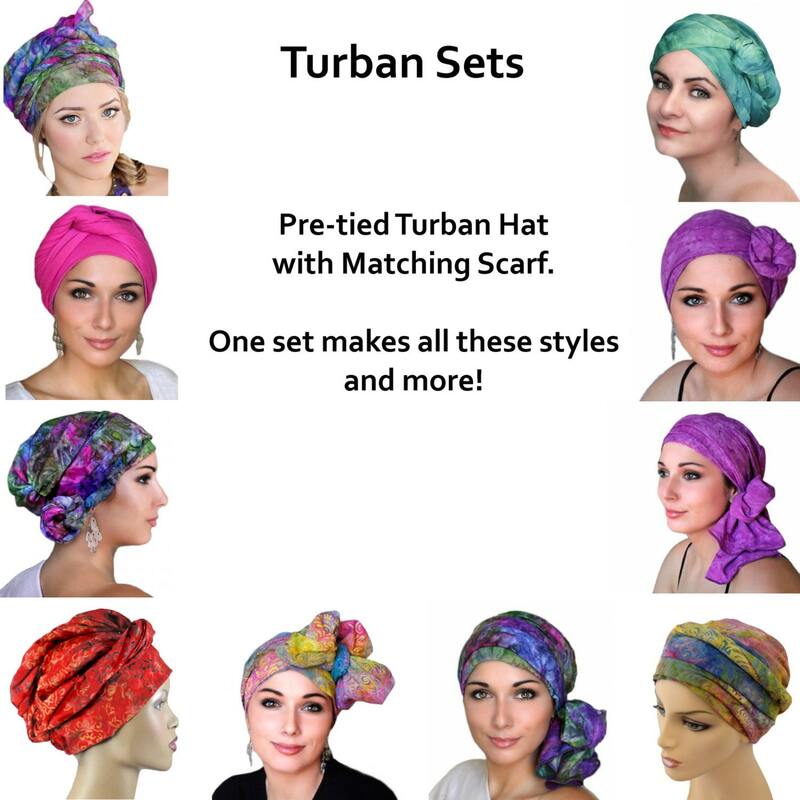 The Turban Set is a 2-piece set of a fitted hat & matching scarf. The hat is "pre-tied," which means it is a comfortably fitted hat that completely covers your head. The hat fits so beautifully that it can be worn with the gathering in back, front or on either side for different looks. 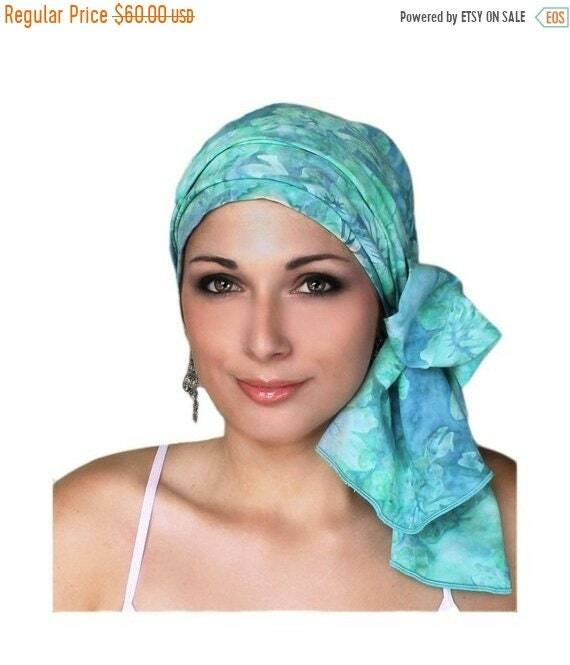 The scarf is separate for easy styling and you can tie it in dozens of ways with or without your own hair or a wig. You will receive easy instructions for several styles, and the set is magic - everyone who puts one on finds a new way to style it. Trust the process, put it on, and then let your imagination fly. The 2 pieces can be worn together or separately with any length of hair, to disguise hair loss or just add style to a bad hair day. 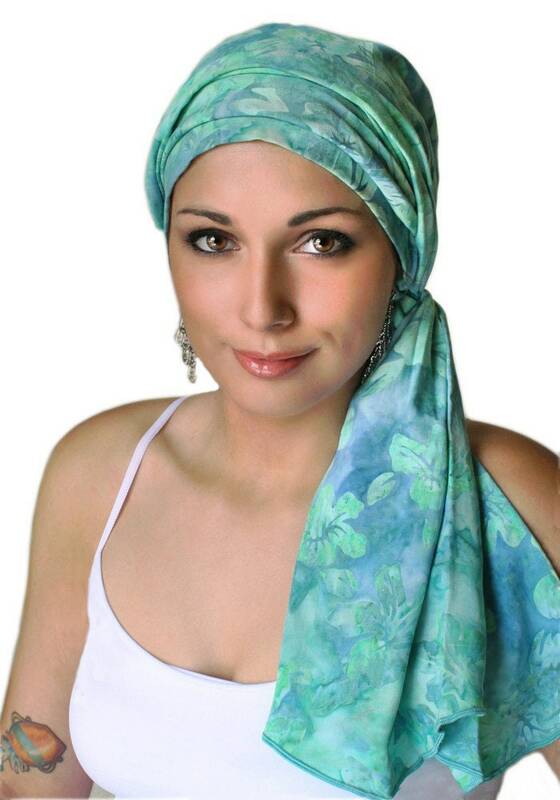 The scarf can be worn over the turban hat, as a neck scarf, or as a head band. The patented design was created for you to add dimension, versatility, and never a flat-looking head! The fabric is incredibly soft rayon to comfort the most delicate skin. Rayon is a fine fiber that is made from the cellulose of plants. It is highly absorbent and “breathable.” It does not insulate body heat, making it ideal for hot or humid climates, and comfortable with hot flashes. One size is adjustable to 21-24 inches measured around the natural hairline. Care: Hand wash, hang to dry. Steam or iron on medium heat if needed. Batiks are hand-dyed. Slight variations in color or pattern are a sweet reminder that humans put their heart & hands into creating something beautiful for you. Super fast shipping!! Item arrived just as described! Excellent seller!! Will definitely purchase from this shop again!